Red Hook's excellent RPG is in great form on Nintendo's console. If I hadn't already put roughly 80 hours into my Darkest Dungeon playthroughs across multiple platforms, I'd be seriously considering starting a new round on my Nintendo Switch right about now. As it is, I'm content to stick with the PC/iPad run that I started back in November. But if you haven't given Darkest Dungeon a run yet, you could do much worse than the Switch version, which launched earlier today. It's the latest platform to host Red Hook's pitch black RPG, which is also available on the PlayStation 4, Vita, PC, and iPad. Up until this point, the iPad version has been the best way to enjoy Darkest Dungeon the road, its touch controls being a natural fit for the point-and-click interface of the PC original. It also includes the rather nifty ability to transfer saves back and forth between the PC. But upon booting up the Switch version, its advantages become apparent. Its large screen makes it much easier to discern the text-heavy interface, and likewise makes it easier to utilize the touchscreen (though the button interface is fine, too). It also fits the screen better, unlike the iPad's letter-boxed format. Plus, Darkest Dungeon's DLC is available right now on the Switch. We're still waiting on the iPad. Better still is the flexibility afforded by the Switch. While the Vita and PS4 versions do offer cross-platform support, it's much easier to just stick the Switch into the console and play from there. This isn't exactly a new observation, but it is one of the Switch's essential advantages, and it applies to Darkest Dungeon as much as any other game. If you decide to pick up Darkest Dungeon on the Switch, you will get a massive RPG that can last anywhere from 50 hours to more than 100. Its 2D art makes it simultaneously one of the most attractive and most repulsive games you will find on the platform. Seriously, when you venture into the Warrens and meet the Flesh, you will know what I'm talking about. Its foundation is built on the idea that your adventurers are disposable—cannon fodder to be sent into the depths to meet madness or death. The ones that survive become steadily more powerful until they're ready to take on... wait for it... the Darkest Dungeon. The fun of Darkest Dungeon is in identifying these warriors; putting them into the strongest possible parties, and... watching them all die horribly. 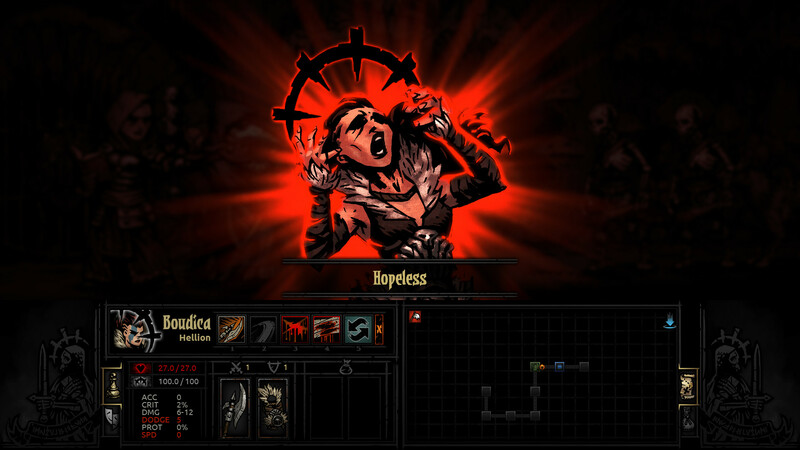 When it launched a couple years ago, Darkest Dungeon had a lot of problems with needless grinding, but Red Hook has since addressed many of these criticisms with thoughtful updates. For instance, it's now possible to upgrade your Stagecoach so that it provides veteran recruits, so you don't have to start over when an experienced warrior goes down. There's also a Radiant Mode that dramatically shortens the time it takes to level up characters without harming the overall difficulty. To be sure, Darkest Dungeon is not for the faint of heart. It's a complicated dungeon crawler where bad things happen. Very bad things. But its atmosphere, its art, and its depth make it worth persevering. When your heroes are huddled around the campfire, furtively dressing their wounds and watching for nighttime ambushes, you're right there with them. I got back into Darkest Dungeon a few months ago, and I was pleased to find a much-improved game from launch. The Crimson Court DLC in particular adds a lot of fascinating wrinkles to the dungeon crawling. Moreover, it's unique. 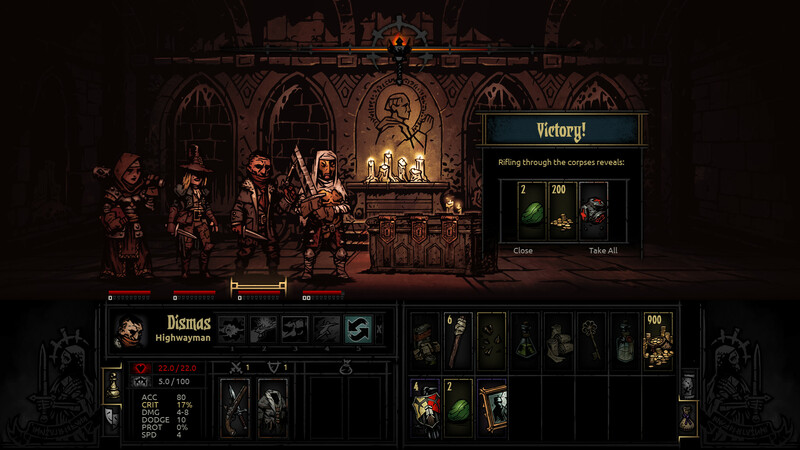 I've never seen a party-based RPG that remotely approaches Darkest Dungeon's distinct identity. If you haven't played Darkest Dungeon yet, then pick it up on the Nintendo Switch as fast as you can. It's an essential purchase for RPG fans; and like so many other indies, it feels made for Nintendo's console. Tagged with Analyses,	Indie,	Nintendo Switch,	Red Hook Studios,	Role Playing Games.